Fort Myers pool home for under $300000 ? 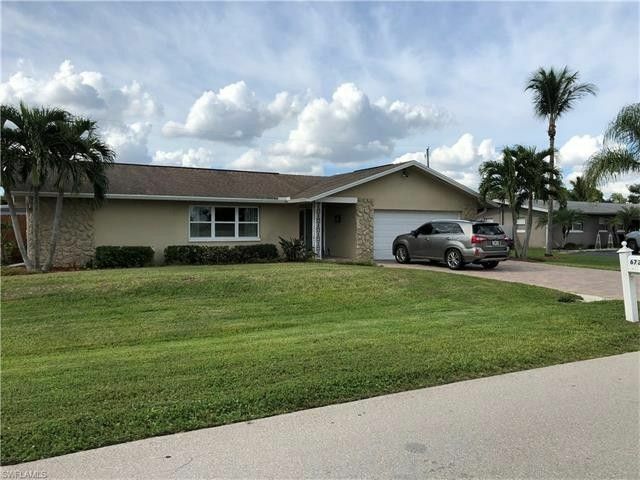 ...You will enjoy this nicely upgraded pool home 3 bed-2 bath-2 car garage in a great South Fort Myers location in the community of Cypress Lake Country Club Estates. This location is close to everything, the RSW airport, the beaches of Sanibel/Captiva and Fort Myers Beach, Florida Southwestern State College, schools, restaurants, shopping, and the Downtown Fort Myers River District ... This home features a new AC system with all new ducts in 2014, new electric panel in 2013, granite counters and stainless appliances, high end wood kitchen cabinets, and crown molding. Also, has travertine tile throughout, with wood flooring in bedrooms. Includes a beautiful spacious caged pool for you and the kids, and the yard is fenced for your furry kids. The owners are moving and is priced to sell ! This is new on the market and this is available for a quick closing. Call, text, or email for your private showing today.